This beautiful family plan is perfect for entertaining! Offering an open-air space adjacent to the great room, this spacious plan brings the outdoors in and providing an inviting area for entertainment or relaxation. A covered porch and foyer lead to the main living area including a large kitchen with walk-in pantry and center island, and formal dining room. The second story showcases a private master suite where a spa-like bath presents a walk-in closet and separate shower and soaking tub. A nearby loft space is an ideal exercise area or movie room. Steps away, two secondary bedrooms incorporate ensuite baths and are separated by a convenient laundry room with cabinetry. The third floor is an ideal escape, with a tucked away bonus room. California Bunaglow exterior. 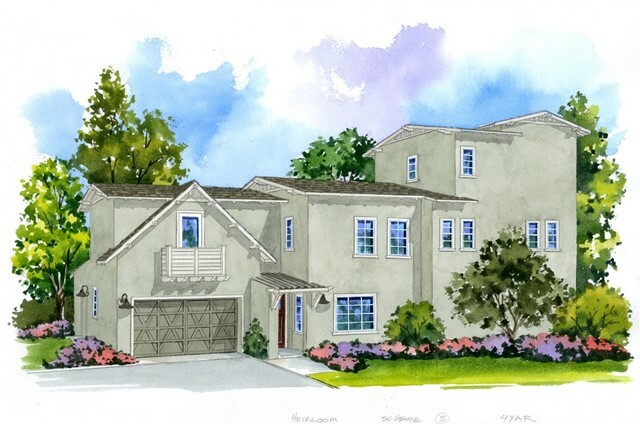 Home is located within the award winning Master Planned Development, Rancho Mission Viejo featuring Resort Style Amenities including the Hill Top Club, with Pool, Spa, 2000 Sq. Ft Gym, Cocktail Bar, and more. The Ranch offers a wide array of activities, amenities and events for both Active Adults and Families. Home ready for move-in January 2019 This home is in a Unique neighborhood with detailed architecture that sets this community apart from the others. Frontyard landscaping and gorgeous upgrades all included in the price. Located close to the Canyon house and brand-new K-8, state of the art facility, Esencia School. The first major new school to be built in South Orange County in a decade.